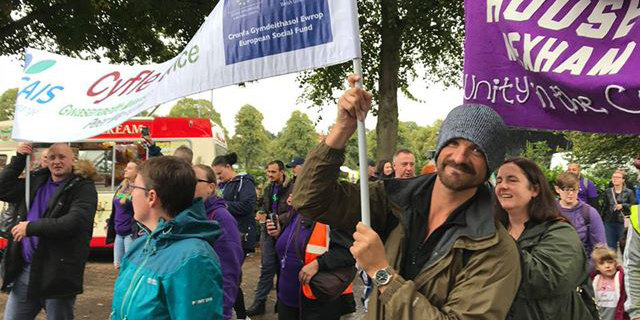 CAIS joined thousands of people from across Great Britain and Northern Ireland at the UK Recovery Walk in Shrewsbury. Dozens of participants from our services took part in the joy-filled event – which brought together around 5,000 people for a huge celebration of the power of change. Our teams, including staff, volunteers and people who use our services, were delighted to share in the festival and mark their own achievements in recovery. 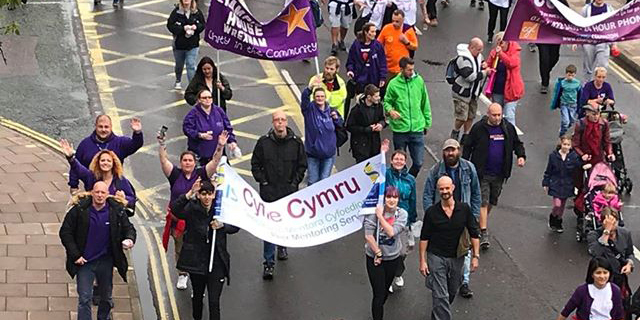 Cyfle Cymru volunteer peer mentor Camille Mason was one of a large group from Wrexham to attend the walk, and praised the “electric and non-judgemental” atmosphere. “There was a great team spirit,” Camille said. “It was nice to see because it offered this moment of realisation of how many people are in recovery. 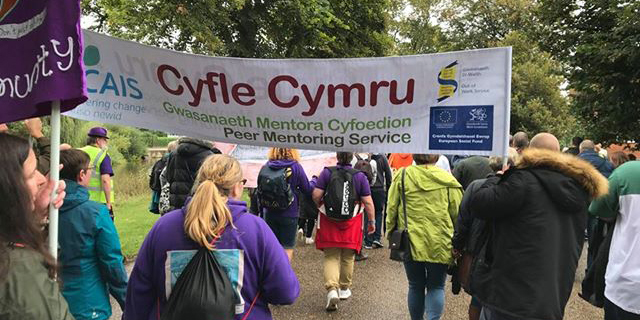 The UK Recovery Walk takes place in a different town or city in the UK every September, and marks the high-point of events held during Recovery Month. This year’s event saw the recovery community take over Shrewsbury town centre, and complete a circular route inside a loop of the River Severn. Live music, stalls and activities were on offer for the attendees. Recovery Month is an international campaign which takes place each September throughout the world, providing an opportunity to celebrate and promote the passion, wisdom and strength within families, neighbourhoods and communities touched by recovery. Everyone at CAIS would like to extend our thanks to organisers, and the Shropshire recovery community, for their part in organising such a successful and life-affirming event.